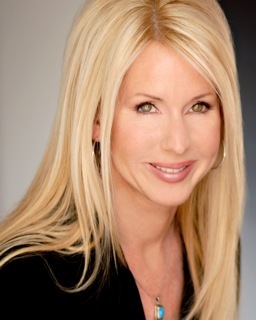 Social media super-giant, Tamara McCleary, is the founder and CEO of Thulium; a brand amplification company working on marketing through the use of social media. Amongst her many accolades, Tamara was rated as the #1 Most Influential Woman in Martech by B2B Marketing, third most mentioned person on Twitter by Chief Marketing Officers in 2015 and is ranked by Onalytica as one of the top global influencers of AI, alongside the likes of Elon Musk and Marc Benioff. What makes McCleary so groundbreaking is her fusion of technology and humanity. Working as a nurse has allowed Tamara to fully understand how people react to a human approach, which has enabled Thulium to work to make brands “emotionally attractive”. She has stated previously that she felt “moved by [her patient’s] stories”, which ultimately led to McCleary’s method of brand storytelling. This unusual approach is what makes Thulium such a successful brand. It works beyond the scope of data or analytics; it works to humanise their approach so that they can use technology that people react best to. To quote McCleary, “People don’t want perfection; they want something they can believe in”. Tamara McCleary also fuses traditionalism and futurism together. As someone that celebrates the traditions of her Irish ancestry, Mrs. McCleary incorporates Gaelic seanchaí storytelling in order to enforce brand marketing. In a similar way to how someone will tell an interesting story in order to engage people socially, she noticed that companies use “powerful brand narrative that will differentiate [their] product or service in today’s highly-competitive landscape.” This allows the audience to be actively engaged with brands in order for them to have a user-friendly experience. She has found that “when people can understand technology, science and what we’re doing, there is a lot of enthusiasm”. McCleary’s approach to marketing sets a precedent for any aspiring marketer who is looking to put the customer first. By “creating a bridge between technology, medicine and the lay-person”, McCleary has allowed Thulium to thrive through her unique business practices. Want to read more CxOs of the week? Check out Stony Brook CIO Melissa Woo or operating partner at Khosla Ventures Adam Coates.